Namaste! Style Exchange Network offers you the opportunity to recycle all the unused items in your wardrobe and refashion for less. If you love looking good and feel a thrill when you hit upon a bargain, then resale fashion is for you! Statistically, we only wear 30% of the clothes hanging in our closet, the rest either don’t inspire us, don’t co-ordinate with our current style, or don’t fit us correctly! As our body changes through the natural processes of motherhood, stress and aging, we need to explore new ways of dressing with style. By hanging onto clothing that is two sizes too small for you just makes you feel guilty about your weight. Recycle these items for something that fits and makes you feel good NOW. Clear your clutter, move all the stuck energy in your cupboards and your life out and allow new colours, lifestyles and adventures to enter. When you bring your unused items to my swop market evening, you get cash back for your unwanted things, and the opportunity to choose new things to take home with you. If you only wish to sell items and not purchase within the network, collections can be arranged for sale on consignment. Please take note of the new Winter event schedule: The SHOP is open every Wednesday night 6-9pm, all day Fridays and every Saturday from 9 – 2pm. With exception: the Shop will NOT be open on Friday 28th and Saturday 29th May. The next Cheese & Wine networking events take place on 19th May, and June 9th, 16th and 30th June. Keep a look out for your personal invitation. If you are not receiving the invitation, or would like to add a friend please email – mercedes@styleexchange.co.za with Add in the Subject line. Please remember to call and find out your balance of sales…Also, please also only bring items into Style Exchange that you are ready to recycle and – after the season is over – ready to pass onto the less fortunate if they do not sell (usually a period of four to five months). I can’t return your items, unless you are prepared to come and find them off the rails yourself. Remember, it’s about moving on, letting go… and like the changing seasons, learning to grow and explore the changes in your style and your wardrobe. If you are a designer, stylist or know of someone with a retail store, I am looking for end of range or surplus stock, over runs, or close down retail store items, whether you are based in CT, Jhb or Dbn. Please call Mercédes 083 303 1403. I am requesting ladies of 38, 40 42, 44 and upwards to join the network… I have a call for larger sizes, so please join us in sharing your styles. Also please bring your Vintage items – it’s time to raid Mom’s, Aunties and Gran’s wardrobes…! The lovely Maria da Silva, brainchild behind Kitchen Capers makes the most enticing and exotic dishes whether they are finger snacks, or catered events. She makes her own dressing that include over 15 ingredients, freshly baked Foccacioas and interesting combinations to delight your tastebuds. She also offers intimate cooking classes where you will learn to weave your own magic in the kitchen… what better place to be this winter? Call Maria on 083 450 7372 for your next bookclub event, 2010 entertainment or workshop. Entrepreneur Traci brings her own classic taste to the Style Exchange network… homemade chicken liver pate for just R25. Healthy, tasty and filling, its makes a great mid-morning snack at the office or a pre-dinner oourdeave when entertaining. Available for purchase at all Style Exchange events or contact Traci direct on 0837698105. 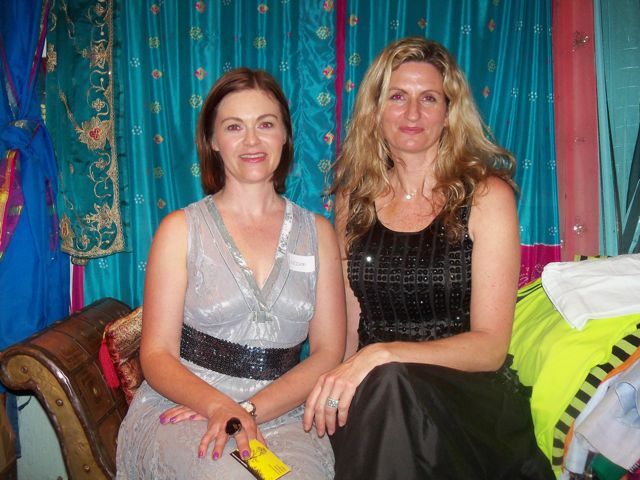 Lucinda of Litchi Clothing is a personal stylist who supplies her own range of hand-picked affordable fashions. Litchi Clothing also supplies Style Exchange with surplus stock and many of you will have seen and purchased her lace and sequin, and sparkly halter neck dresses. I am particularly fond of my lovely purple coat now adding a splash of colour to my winter wear. If you are lucky enough to spot Lucinda at one of the Style Exchange events, this is your perfect opportunity to ask for some personalized tips. Alternatively, if you are needing help in streamlining your wardrobe and updating your style contact her on mobile : 082 968 3656. Martha of Healing Hands offers one of the best services I and my husband have had the pleasure of experiencing… she is a travelling masseuse. Martha will arrive at your home with her own massage bed and give you a one and a half hour full body massage for R250 or R300 for 2 hours. Other options are available. Call Martha on 082 394 9626.